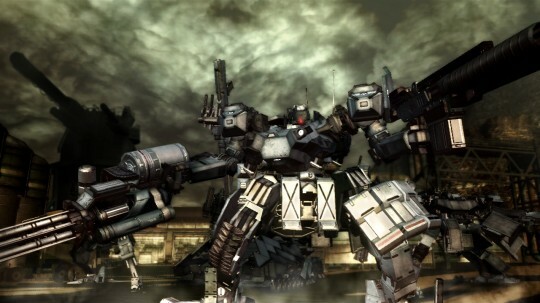 We’ve fallen a bit behind in our humble coverage of the anticipated Armored Core V partly due to our recent domain renewal issues. But thankfully, we’re back online. 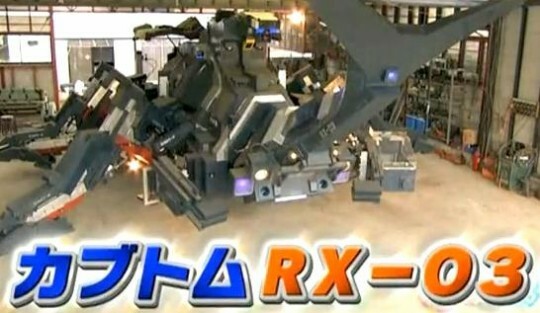 And the ever reliable source for all things mecha straight from Japan, Mecha Damashii, has been more than up to date with information. 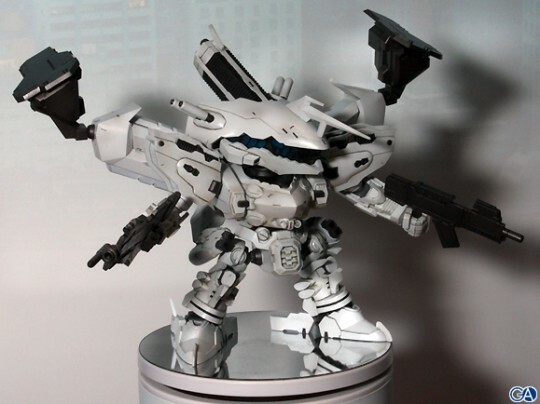 Kit-maker Kotobukiya exhibited several new (and a few recycled) Armored Core model kits for the recent (Winter) Wonder Festival in Tokyo, Japan. 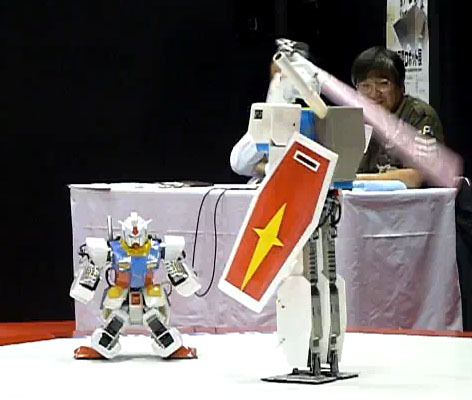 Among the new kits are the SD White Glint (pictured above) and the Mirage C02-Uranus Marvelous. 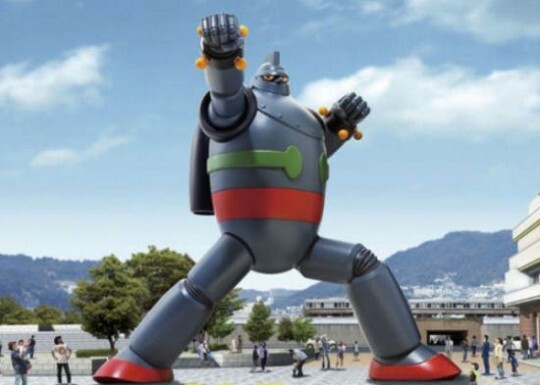 A short commercial featuring a modern interpretation of the classic giant robot Tetsujin 28 can be seen in NTT’s stylish website. The website itself is well designed and the video of interest is located on the 4th panel under “CM” after the site intro has loaded. Girls, guns, giant robots and giant monsters! All of the above blowing stuff up! 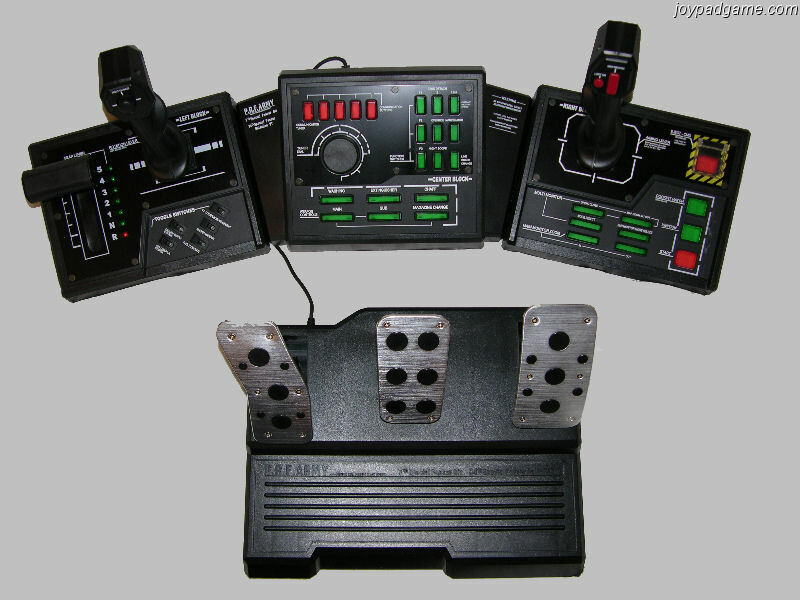 In the aftermath of global thermonuclear war, the Earth’s surface has been turned into a desert battlefield. Three beautiful female hunters: Gray (Meisa Kuroki), Lucifer (Rinko Kikuchi), and Colonel (Hinako Saeki) traverse the barren landscape armed with powerful assault rifles to fight a group of deadly sand-dwelling monsters called “sunakujira” (sand whales). When the the epic battle eventually seems to be coming to an end, the sparkle of muzzle flash dies down and assault ship flies overhead. 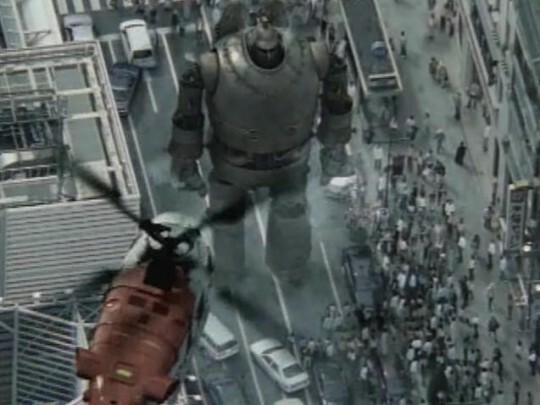 Suddenly, a gigantic super mutation called “Madara Sunakujira” attacks. 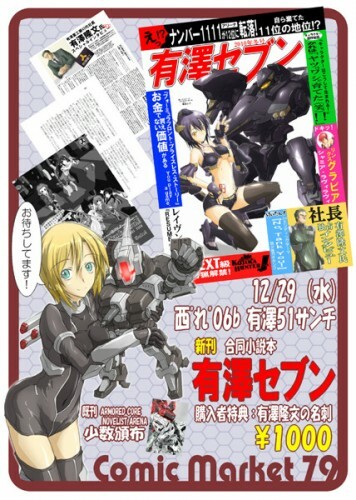 Assault Girls will have a Japanese national premier after a limited screening on December 17, 2009.